On February 8, 2015 a lucky M Resort player hit the jackpot playing the quarter WMS progressive Monopoly Luxury Diamonds, receiving a total payout of $860,863. The popular WMS progressive game MONOPOLY Luxury Diamonds game showcases high resolution graphics complemented by a vibrant auditory experience for a fresh take on classic nostalgia. This theme includes the first top mechanical wheel available on the Blade Stepper, featuring the iconic properties from the board game. 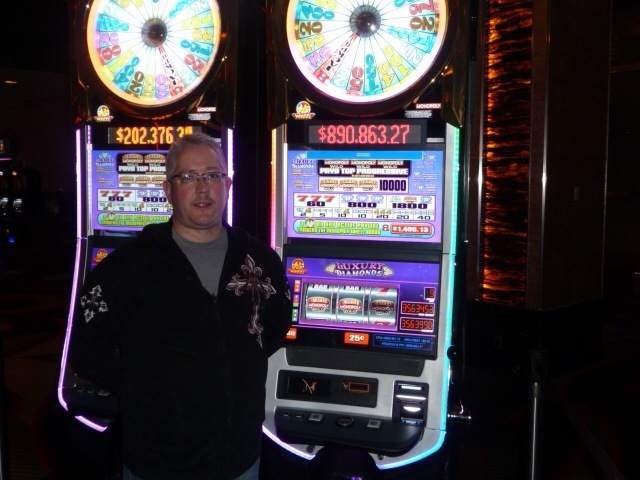 M Resort congratulates Timothy who hit the jackpot at M Resort Spa Casino in Las Vegas, winning $860,863 while playing Monopoly Luxury Diamonds.